Weaving decades of field observations with exciting new discoveries about the brain, Carl Safina's landmark book offers an intimate view of animal behaviour to challenge the fixed boundary between humans and nonhuman animals, from families of elephants and wolves to killer whales. Beyond Words provides powerful and illuminating insight into the unique personalities of animals through stories of animal joy, jealousy, anger, and love. The similarity between human and non-human consciousness, self-awareness, and empathy asks us to re-evaluate how we interact with animals. 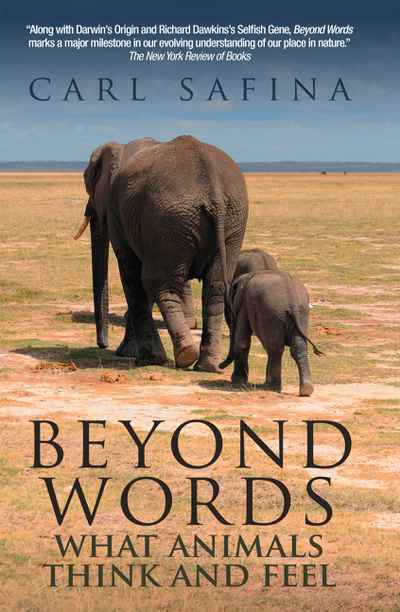 Wise, passionate, and revelatory Beyond Words examines humanity's place in nature and our kinship with the natural world.